Of course you have heard about IQ tests, memory tests, vocabulary tests, Rorschach inkblot test and the like. Well, here's another personality test that is pure fun, but also has its roots in body language. Let’s say there's a lot more to sitting on a sofa than meets the eye. Body posture and how we really carry ourselves says everything about us. So read and find out what your favourite sitting position on a sofa is and what it reveals about your personality. Below are 8 statements. Select only one from the eight which best suits your behaviour or sitting position. 1. You sit in a drooping position with your head positioned lower than your sofa's headrest. 2. You keep your feet up in a lotus position on the sofa. 3. You cross your legs and sit on the sofa. 4. You occupy the entire sofa by stretching your legs. 5. You turn upside down and sit. 6. You keep your legs up and hug yourself and sit. 7. You keep one leg down and the other on the sofa. 8. As a couple, you have your feet on the partner's lap. Tastes and liking differs from person to person. If your sitting position is not mentioned here, it is fine. There are many such positions that are more usual or unusual than these. You may have more than one behaviour of the above and that is absolutely fine, but to take this test you have to choose only one option which suggests your most usual behaviour. After choosing one statement from the above (selecting one that suits your personality), match the selected number from the above statement to the below-numbered personalities. For example, if your answer is 'yes' to the statement No. 2 which you think is your usual sitting position then your personality is that of No. 2 - 'The Mindful Yogi'. What it means: This position indicates that you are bored. It could also probably reflect being as content as a baby and dealing with life’s stresses with ease. What it means: It indicates that you feel open, agile, and carefree. The flexibility it takes to sit this way indicates that you’re emotionally flexible, as well. What it means: If you're sitting straight, comfortable then it indicates that you’re confident. It also means you’re a strong and reliable person, and everyone turns to you when they need help or comfort. If you often cross, then bounce or shake your legs, it means you’re an organized and timely person. Just sitting straight and keeping your legs crossed can either mean you're insecure or very bold. What it means: Taking up this much space is a dominant way to sit on a sofa, but this doesn’t necessarily mean you are dominant in general. As you’re the most likely to have an active social life and the second most likely to have lots of friends, this is probably showing more of a quietly confident and contented sitter. 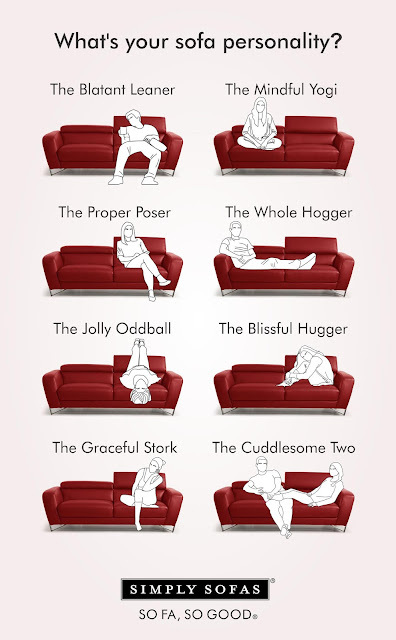 What it means: It is the total opposite of how most people would sit on their sofa. This shows that you are a rule breaker, unusual, or like to be different in your own way. What it means: Hugging yourself and sitting means that you are defensive or protecting yourself. You will take some time to get to know a person and will not accept someone with the first meet. It could also mean you are trying to relax. What it means: This indicates that he/she feels very comfortable with you and is interested in what you have to say or getting to know you better. Usually, women are more likely to sit like this than men. It also says that you are comfortable in your comfort zone and do not like taking risks. Sofa position: either of the two has their feet on the other person's lap. What it means: A popular sitting style among the couples when it comes to watching a TV show. It is a sociable, warm and happy relationship, with a shared humour. Besides, it can also be interpreted that the lady wants a foot massage from her guy. We hope you had fun with this personality trivia and what it reveals about you. Do share your thoughts in the comments. When great minds come together extraordinary things happen. 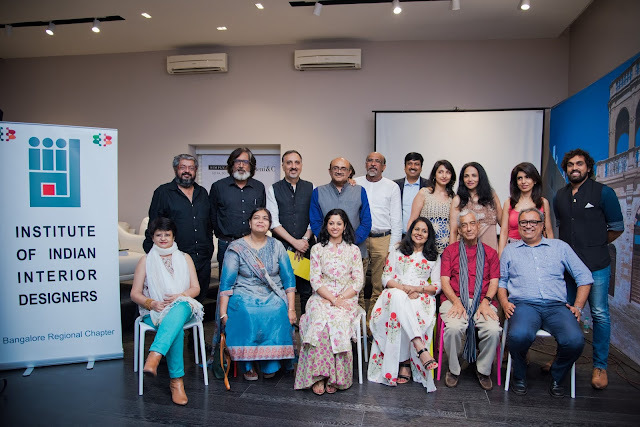 Simply Sofas along with IIID BRC organised 'Voices in Design', an event to bring the most highly regarded architects and designers on one platform at the Simply Sofas Mission Road Showroom, Bangalore. 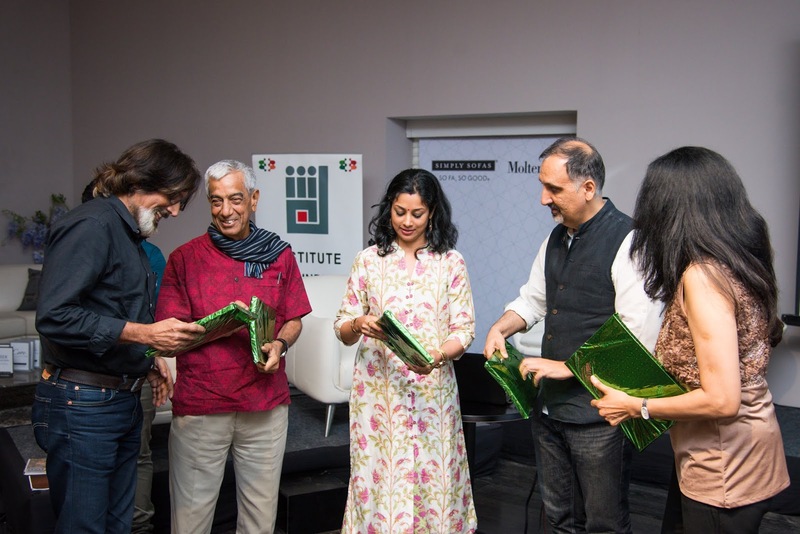 An intense discussion between renowned architects Krishnarao Jaisim, Sandeep Khosla, Sanjay Mohe, and author Apurva Bose Dutta marked the evening of May 25th, 2018. Featured in her book 'Architectural Voices of India', these icons spoke of their unique journeys in architecture, their deep passion for creating, and the challenges facing Indian architecture today. 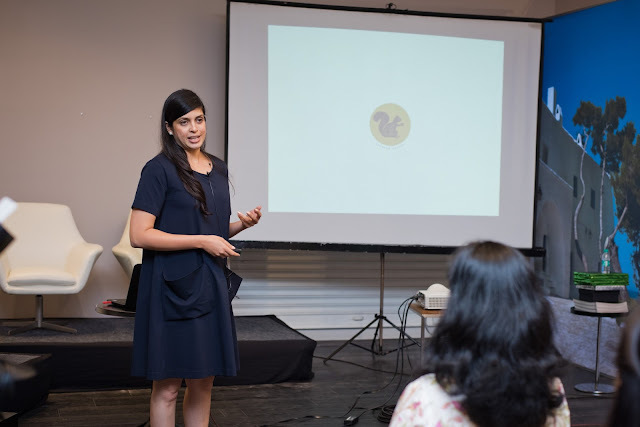 IIID award-winner Shruti Jaipuria of Maia Design presented her unique approach to interior design through a selection of acclaimed projects - Toast & Tonic, The Black Rabbit, Smoor, and The Flying Squirrel. A memorable evening at Simply Sofas. Thanks to IIID BRC. 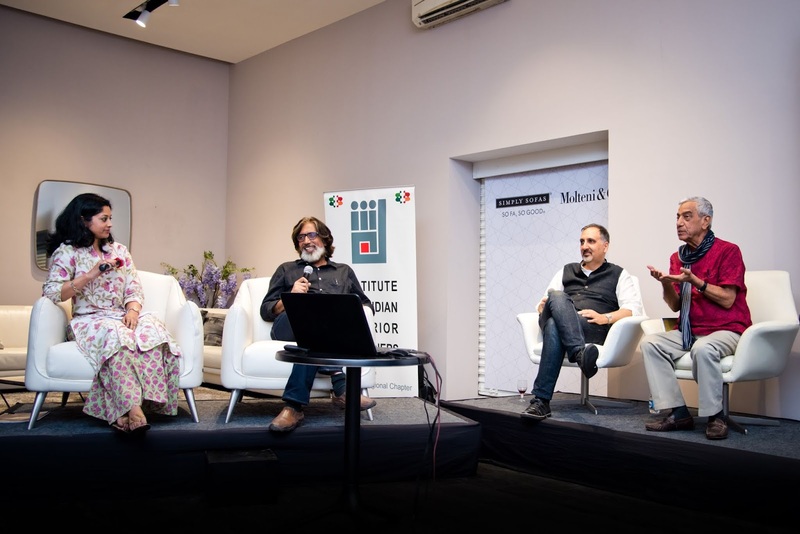 The highlight was the introduction of cutting-edge Italian designer furniture brand, Molteni&C, with a special feature - 'Architects and Their Furniture', which presented the work of master architects Gio Ponti, Foster+Partners, Jean Nouvel, Vincent van Duysen, Patricia Urquoila and Michele de Lucchi - designers of furniture for Molteni&C. 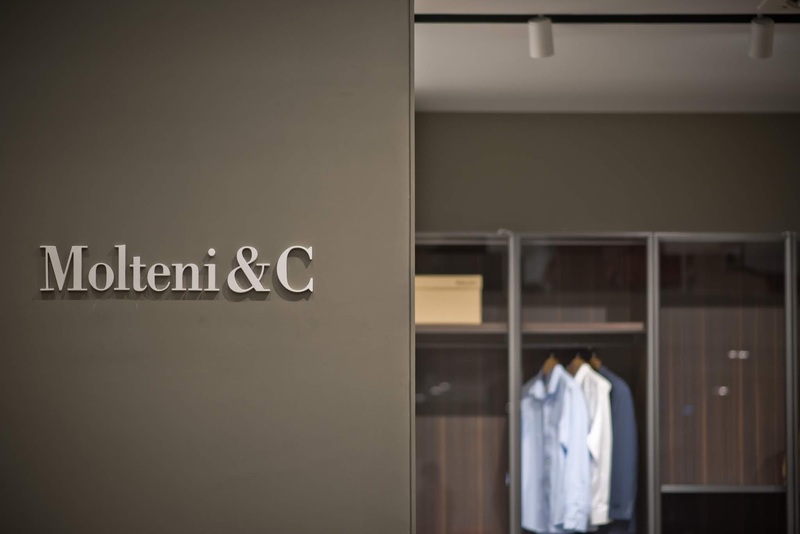 The brand is specialised in high-end home furniture and premium luxury projects (such as hotel, ships, theatres, and public buildings). 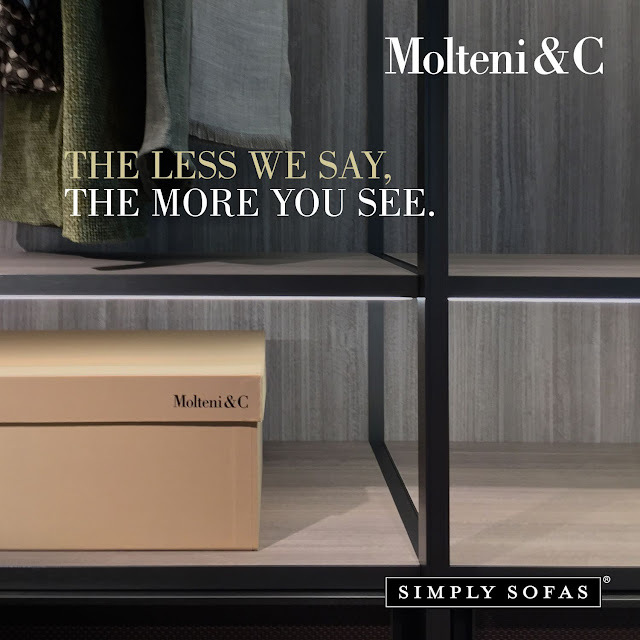 The collection of Molteni&C bedroom, living, and dining furniture is now exclusively available at Simply Sofas in Bangalore and Chennai. Molteni & C. The defining name in premium luxury furniture. All in all, a memorable evening with wine, cheese, and voices in design.